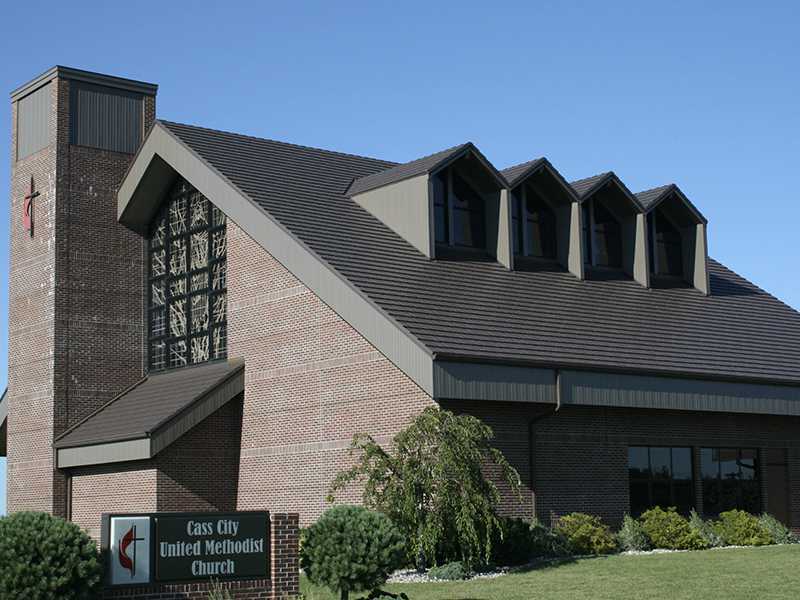 Is your church in need of a new roof? 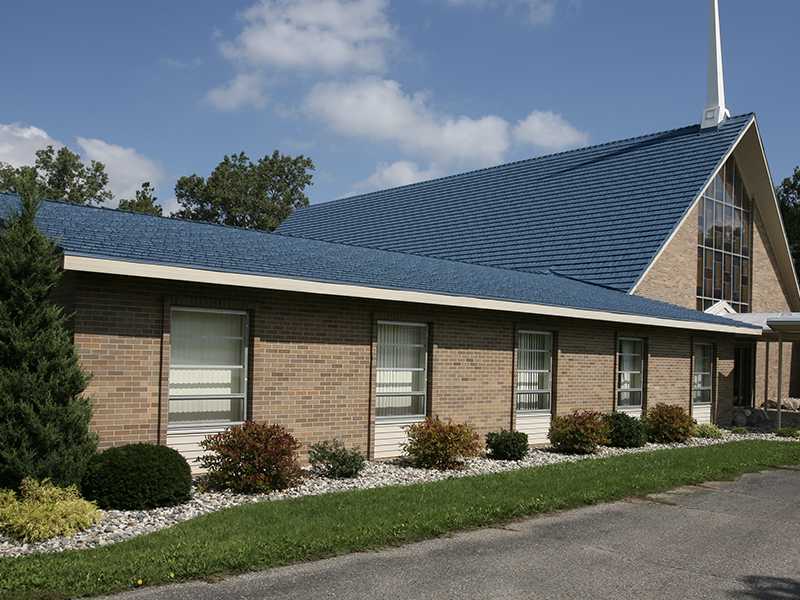 Keep in mind that other roofing materials won’t last half as long – or look half as good as an American Metal Roof. That’s why churches all over Michigan have chosen to work with us. Your American Metal Roof is Beautiful, Durable & Guaranteed. Plus, we offer complete installation or we can provide you with the materials and support to install a roof on your own. 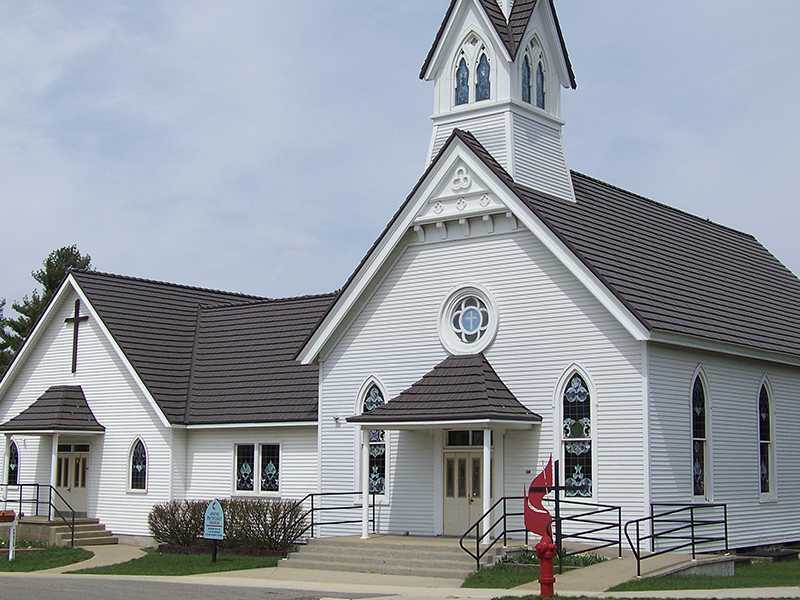 Some churches have cut their costs up to 50% by completing part of the work themselves with the guidance of our trained church roofing craftsmen. Whatever it takes, we will design a program to fit your needs. 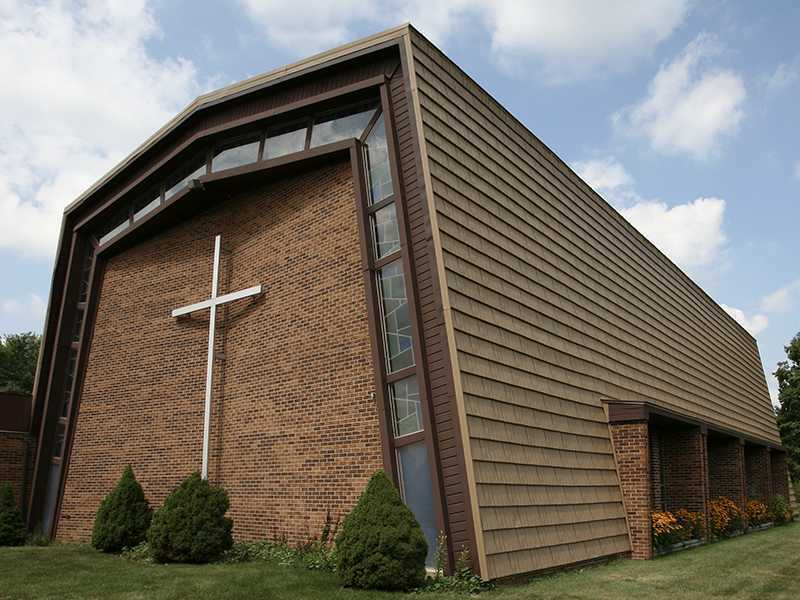 Our promise is to help you save money on your Michigan church roof project. 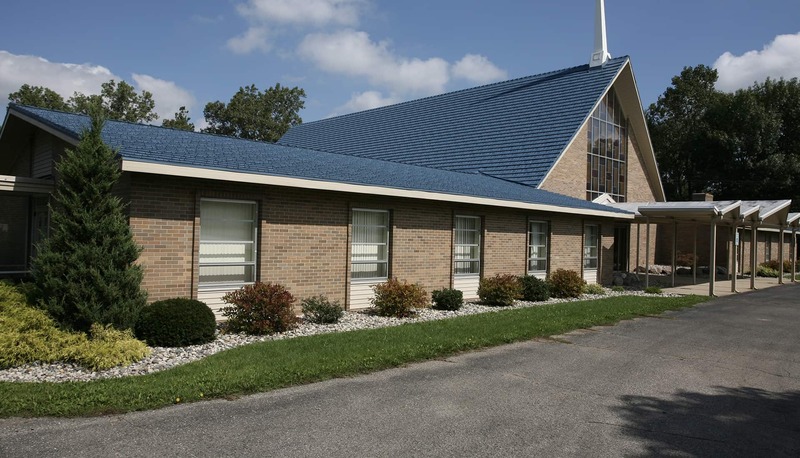 Our approach is not “one-size-fits-all.” American Metal Roofs follows a 5-step process with all new projects that includes a true cost roofing consultation to ensure your church leadership and congregation have all the facts to make an informed decision. The church was built in 1998 and the asphalt roof they though would last 30 years, barely lasted 10 years. 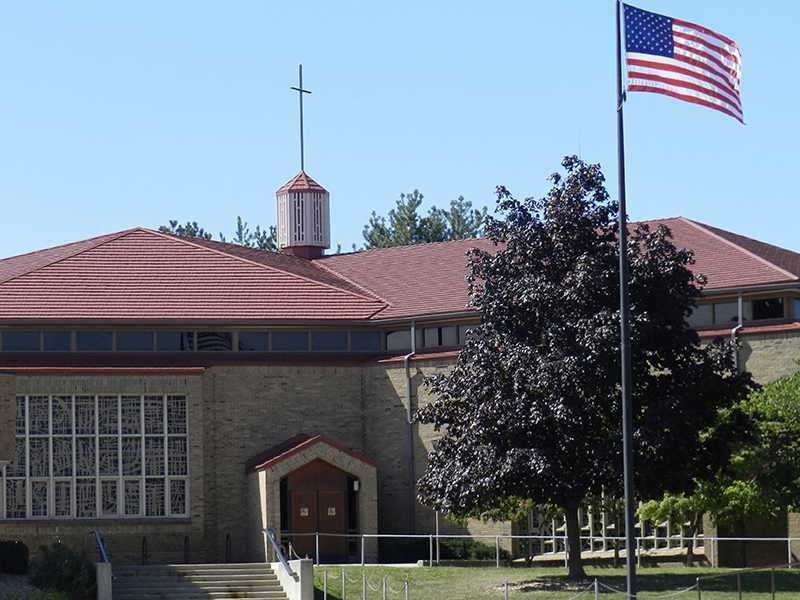 In 2008 American Metal Roofs installed a mustang brown rustic shingle, chosen for its rugged texture and realistic woodgrain, directly over the original asphalt roof, saving the congregation costs in roof removal. The project was completed in 4 weeks. 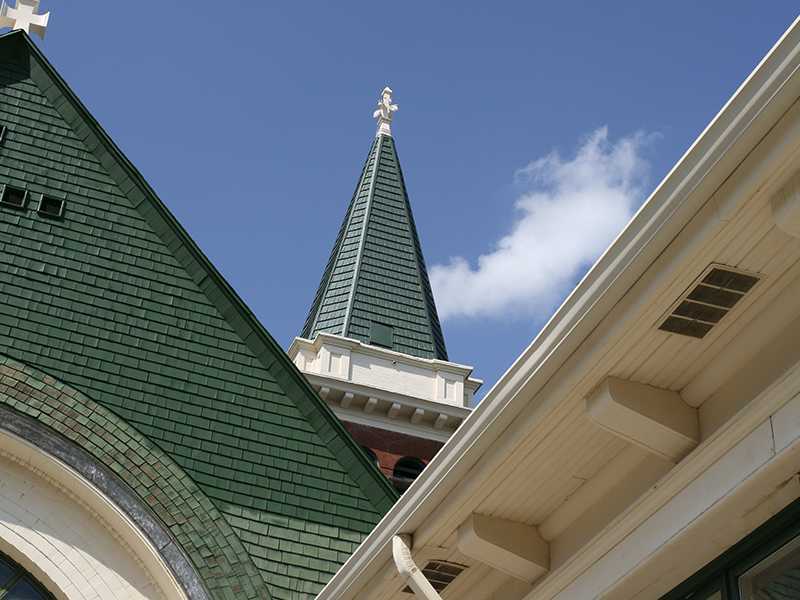 The steeple on the church, towering over 100 feet in the air, needed constant maintenance to its cedar shake roofing. The solution? An American Metal Roof rustic shingle, selected because of its realistic wooden shake design and look. The project included the use of a 145 foot articulating boom lift and was completed in 2 weeks. Preparation for the new aluminum rustic shingle roof, replacing a rusted standing seam steel roof, included the replacement of rotted wood and use of a premium synthetic underlayment over the entire roof. Additional trim work was completed above windows and in window wells, as well as adding nine feet of ice shield running parallel to the eave edge. The project was completed in 6 weeks. 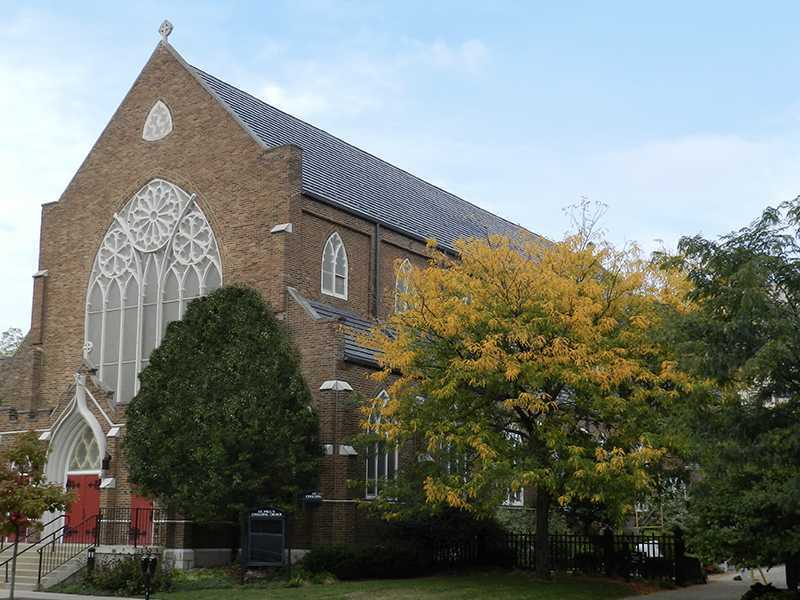 Founded in the early 1850s, the Lansing, Michigan church includes a 1942 chapel, 1952 parish house and 1967 education annex. Because of the size and and scope, the project was split into two phases over 2012 and 2013. In the end a Great American Shake roof was chosen for the steep, sloped roofs because of its period look of hand-split cedar. The final phase was completed in 4 weeks.